So, thanks to our wonderful, outstanding, useful, totally not-bought-and-paid-for United States Congress® combined with our Reality-TV-star president, there is a very good possibility that your online activity soon can and will be collected and sold without your express permission. But there are ways to obfuscate quite a bit of your online activity. In this video, former hacker and current author Kevin Mitnick explains some things you can do to protect yourself. Now, some of these suggestions only help protect your information and not necessarily your browsing habits. If you visit bankofamerica.com, even with secure sockets layer enabled, your ISP will still know you’ve visited the site. They just can’t see what you’ve done there. Using TOR, as also suggested in the video, would help prevent that type of monitoring. None of these suggestions is a guarantee of safety or anonymity. They just help. I’ve seen this trend toward classic computing really take off lately. 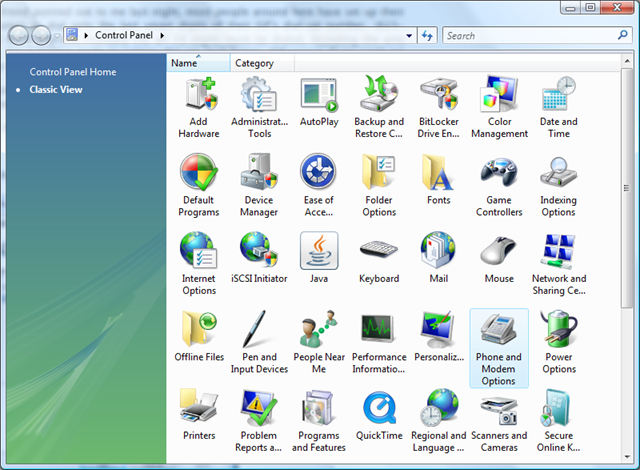 My favorite is probably the Amiga Forever emulator by Cloanto. I like that one because I actually converted several Amiga disks over to *.adf format before disposing of the old Amiga machine. But now there’s a way to enjoy some “new” classic games straight through your browser. The Internet Archive has recently added several games from the 80’s and 90’s. Just click on the large green power button, and you are on your way! You should thank me for successfully wasting your otherwise productive day! Cameron Hughes from the Onion has his finger on the pulse of social media. He knows exactly what kind of hard work it takes to be a leader in social media. First, let us all give a large round of applause to a man who simply utters the words “Social Media” and presents a slide saying the same. They even have the machine that goes PING! They pointed it out during the tour. In all seriousness, the new UHC looks like a fantastic hospital. Good luck to all those involved in the move. Full on, double rainbow. All the way across the sky! Paul “Bear” Vasquez shows us how to fit a double rainbow (all the way) in a single photo, courtesy of Microsoft Windows Live Photo Gallery. Looks like Microsoft may be facing some actual competition. If Google can make an OS based on Linux that Grandma can use, well, we might have a game changer. If everything takes place in the browser… think of what’s possible… go ahead. I’ll wait. But then, think of what’s not possible. I’ll wait for that too, If you like. I can see Chrome OS filling a little bit of a void, but it’s not going to get rid of your desktop PC anytime soon. With no local storage, and no local apps, specialty applications like video and audio editing won’t be going anywhere else, anytime soon. What I do like about Chrome OS is that it could possibly give users the look and feel of a Linux-based system. And I think that’s good for everyone. Except Microsoft. 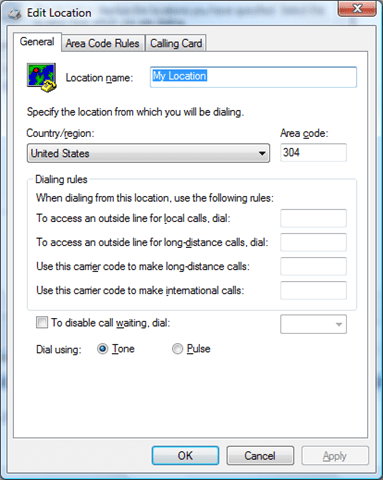 Now that West Virginia is getting the new 681 area code, some Internet dial-up users are finding themselves in a pickle… Not only is the new 10-digit dialing a requirement for us, it’s also a requirement for our computers. If this is a new location, you’ll have to give it a Location name. “My Location” is just fine. Or, you can make up your own. 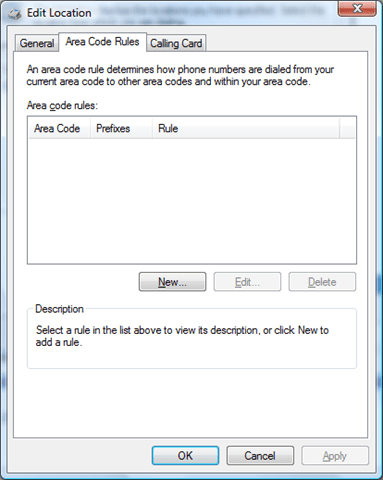 Once you’ve reached the above screen, click on the “Area Code Rules” tab. If the Area Code field is empty, type 304 in there. 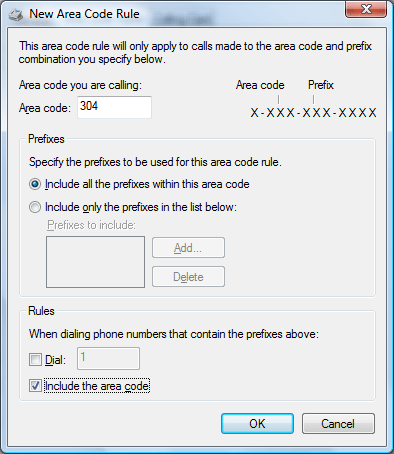 Here is the key step: Click the box beside “Include the area code.” That should be all there is to resolving this problem! Click OK three times to get out of there! And, hopefully, you will be back online. How Will Obama Now Use the Internet Army He Built? Obama harnessed the grass-roots power of the Web to get elected. How will he use that power now? This is a good little article. I think this issue deserves some attention because a lot of people who helped elect Obama expect to continue to be involved. But I can also understand the fine line that now must be walked by former campaign managers and staffers who now find themselves working for the president-elect. The rules have certainly changed. Things like transparency and data-retention are serious issues that are complex but need to be addressed. If I were Obama, I wouldn’t give up my Blackberry. I would certainly be very judicious about how I used it though. It’ll be most interesting to see how he will be able to use the small army of volunteers and “Facebook followers” that have been built up over the past two years. You see, it’s great that President-elect Obama uses technology to establish a two-way communication between the governed and the government, but he also doesn’t want to create a fundamental gap between the “haves” and the “have-nots.” Believe it or not, there are still people who don’t spend their days YouTubing. There is a lot of potential here. But the right balance has to be struck, and that little ballet will be entertaining to watch. I really believe that the way the Obama camp immersed itself with technology was a key to victory. They did an outstanding job with facebook and MySpace profiles, with their MyBO portal, their personalized e-mail and text message distribution. We all know that Barack didn’t personally pound out a text message at 12:52am on November 5th, but there is still a certain amount of satisfaction from receiving a “thank you” from a candidate mere minutes after watching his acceptance speech. What will be truly interesting to me is: Where does this go from here? They’ve spent 21 months compiling a massive list of supporters with e-mail addresses and phone numbers… well what happens next? I don’t think it ended on election night. In fact, the last e-mail I received from the campaign states “I’ll be in touch soon about what comes next.” So I do believe there’s more to come. But for how long? Once he steps into the oval office, a whole new set of rules will apply. And since we haven’t exactly had a “high-tech” president yet, we really don’t know how text messages and e-mails can be used to govern. But it will at least be interesting to watch.